The mandate of Brown v. Board of Education has yet to be fulfilled. Research has shown that for children for African American and Latino children, access to high-quality public education remains a challenge. Today, the vast majority of schools remain highly segregated, with African American students more likely to attend schools with less qualified teachers who are more likely to be underpaid and who have a higher likelihood of not being certified. Additionally, these schools, which traditionally have served the most vulnerable populations, have a long history of not receiving adequate funding. For Brown v. Board of Education to be fully realized and to ensure that all children receive a high-quality education, we policymakers must support continued investments in the nation’s public education system. African American students are more likely to attend high-poverty public schools. 47.5 percent of African American students attend schools where at least 75 percent of students are “eligible for free or reduced price lunch.” By contrast, only 7.6 percent of white students attend schools where at least 75 percent of students are eligible. Schools in high-poverty neighborhoods tend to be underresourced and not adequately equipped to teach the students they serve. Black students are disciplined at disproportionate rates compared with their white counterparts. Black students are 24 percent of students enrolled in public schools, yet they make up 48 percent of students suspended and 49 percent of students expelled. Taking these children out of schools has a significant impact on their academic achievement and significantly contributes to what is known as the school-to-prison pipeline. Black students are more likely to be disciplined for subjective offenses than their white counterparts. Evidence suggest that implicit bias plays a role in the disproportionate rates of school discipline for African American students. The quality of math instruction must improve for all American students—and for African American students in particular. Sixty-eight percent of eighth grade students are “not proficient in math.” Among African American students, 88 percent of eighth graders are not proficient. Studies have shown that the math instruction status quo is failing far too many students. Given the growing importance of science, technology, engineering, and math, improvements in math proficiency must be made. 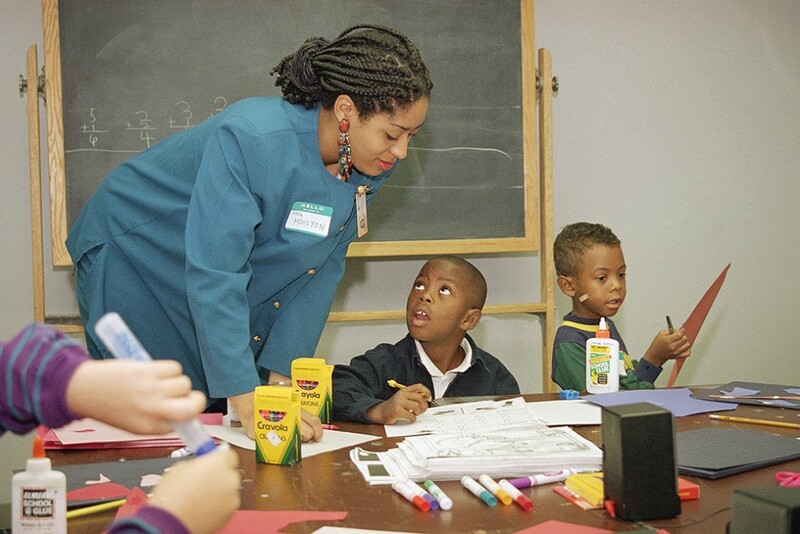 Diversifying the teaching profession is critical to the success of African American students. Eighty-two percent of public school teachers were white during the 2011-12 school year. According to studies, white teachers have lower expectations of a black student’s academic performance than a similarly situated black teacher for the same student. This is critical, as teacher expectations have an overall impact on student achievement. For example, black students are significantly less likely to be recommended for gifted and talented programs when their teacher is white than when their teacher is black. While the landscape has significantly improved and black students are achieving significantly more from an academic standpoint than they have in the past, there is still work left to be done. To do that work, policymakers must continue to ensure that the proper resources are in place to close the remaining gaps.